Kamala is a long time resident of Tallahassee (1976) and raised her family here. 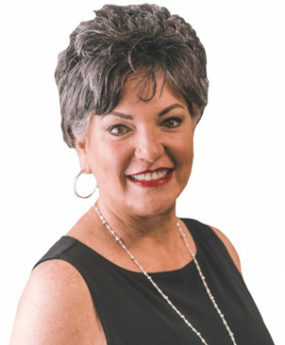 She started in Real Estate in 1984 and quickly rose to the top of the sales market earning the designation of $1 Million Dollar Sales Agent in her first year. After having sold many homes because of her natural ability to see potential in ways to renovate or make changes to make it the home her buyers were dreaming of, she went to FSU and obtained a degree in Visual Arts and Interior Design. After a successful career of designing homes, interiors, and teaching skills to others, she returned to Real Estate where she not only buys and renovates homes to sell or rent personally, but assists others in turning their dreams into reality by using her skills, vision and building knowledge in this market. She lives with her husband of 34 years, Larry, her Yorkie, Mr. Higgins, and her kitty, Curious George. She loves Tallahassee and is happy to share her love for this city with families coming into the area. Accomplishments: A member of the Tallahassee Board of Realtors & National Association of Realtors.